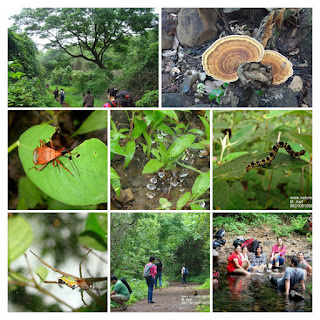 A walk in Nature (Jungle Walk, Stream, Small Waterfall and and a Nice Vantage Point with Nature View). Don't forget to carry your packed brunch. (Remember no plastic, No Single use Water Bottles). Meeting point: Enter Sanjay Gandhi National Park (SGNP) Parking, enter SGNP main gate after taking your entry tickets, driver / walk for half a KM. You will find SGNP parking to your right. 7:45 am assemble at SGNP Parking. 7:45 am to 8:00 am - drive around 5 KM towards Kanheri Caves, just a KM short of Kanheri Caves. 12:15 pm Return Journey towards SGNP main gate. Travel (We will try and get you into car pool). Limited Public transport is available from the main gate to Kanheri Caves Parking. National Park main gate Entry toll. Carry your own water bottle and personal snack pack. Do not carry music system or anything that makes a sound. Alcohol / Drug not permitted on the trek.